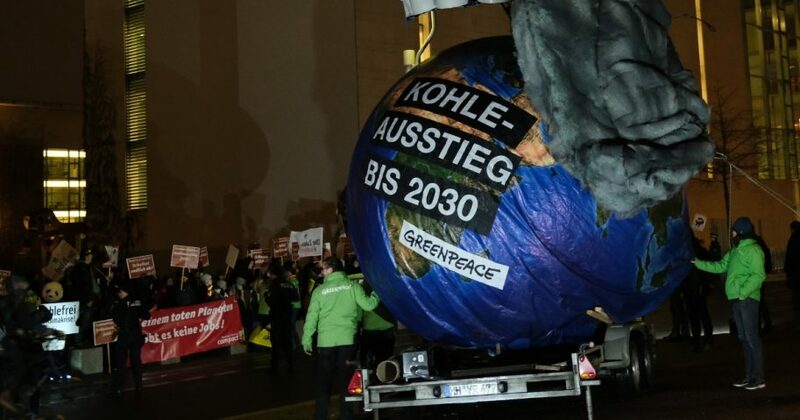 A U.S. District Court judge allowed a forestry company’s defamation lawsuit against Greenpeace and affiliated groups to proceed on Tuesday, but dismissed racketeering claims leveled against the environmentalists. Resolute filed a $225 million suit against Greenpeace, affiliated groups and individual activists in May 2016 under the Racketeer Influenced and Corrupt Organizations Act. Resolute also made defamation and unfair competition claims against environmentalists. Resolute’s U.S. lawsuit came after years-long campaigns by Greenpeace and allies against the company’s logging and forestry operations, including challenging the company’s sustainable-certified woodlands. The company said Greenpeace and its allies orchestrated a campaign to intimidate the company and cost it millions of dollars. Greenpeace called Resolute “forest destroyers” causing a “caribou death spiral and extinction” as part of their campaign against the forestry company. Greenpeace also had a webpage that gave Resolute a list of demands, including suspending logging operations. Do you think Resolute will win their battle with Greenpeace? The company initially filed the case in the U.S. District Court for Southern Georgia, but it was transferred to the Northern District of California in 2017. The court dismissed Resolute’s entire case against Greenpeace that year, but the company filed another complaint shortly thereafter. Resolute has a separate, ongoing, $5 million defamation case against Greenpeace Canada. Kursman said he’s confident the Canadian court will hold Greenpeace accountable for spreading false information about the company. Resolute is not the only company to take legal action against Greenpeace in recent years. Energy Transfer, the company that built the Dakota Access Pipeline, sued Greenpeace under anti-racketeering laws in August 2017.